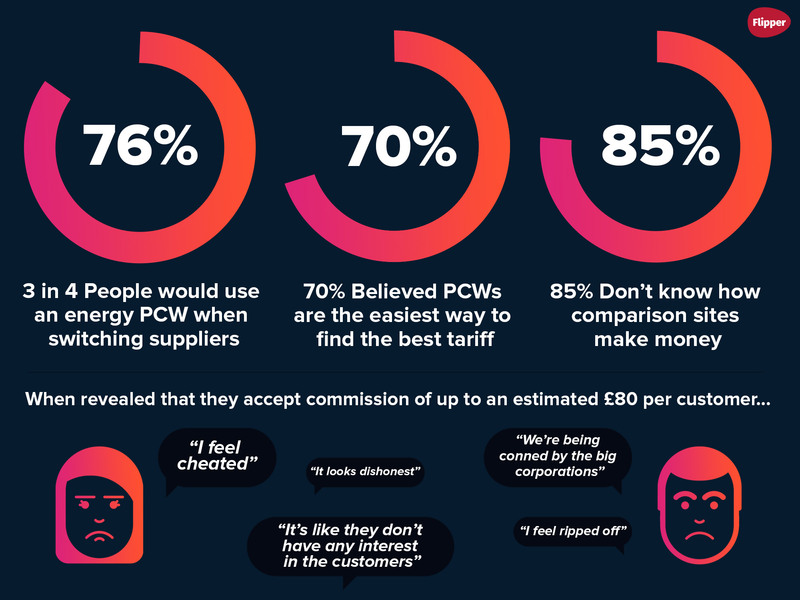 It’s no secret that Price Comparison Websites (PCWs) are the most popular way to change energy supplier and, on the surface, they seem to offer a service that is fair and transparent. But is everything what it seems..? Worryingly, PCWs only have to show you those tariffs that earn them money, not all those that are available. This means using a PCW probably won’t get you the cheapest deal available on the market – merely the ‘best’ deal from those suppliers who are prepared to pay. Does this really matter? Well, if suppliers are paying the PCWs millions of pounds every year they need to cover that cost somehow. So if you’ve found yourself locked into a long energy contract, on a tariff with a hefty exit fee or have been moved on to an expensive default tariff when your deal ended, then maybe this was due to your energy provider trying to recoup the commission they’ve paid out. As the UK’s first independent energy switcher we believe you deserve the right to know you’re on the best energy tariff, at all times, with complete transparency. That’s why we’ve penned an open letter to the energy regulator Ofgem, calling on them to investigate how PCW’s make their money and the impact this has on your bill. Does switching energy with price comparison sites get me the best deal? So, How do you get the best deal on your energy? 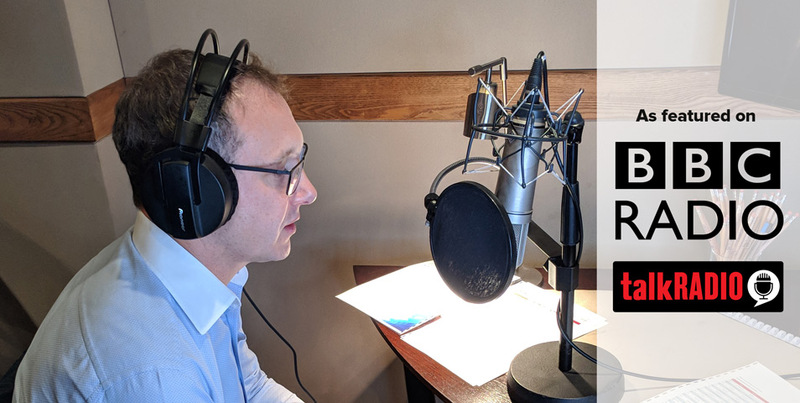 “Customers should have the peace of mind that they’re always on the best energy deal – especially those who have ‘shopped around’ on a comparison site, but this just isn’t the case. And if someone switches but doesn’t continue to check the market regularly, it is almost certain that they will end up paying more than they should. That's why we believe Flipper is a better deal than comparison sites” – Mark Gutteridge, Flipper’s managing director. We created Flipper because we believe no one should ever overpay for life's essentials. We check the market for you every single month and flip you automatically on to the best deals, taking care of all the boring admin. In short, you save while we do the hard work. We’re proud to say we accept no commission whatsoever from energy suppliers for flipping you on to their tariffs, so you have complete peace of mind that you’re always getting the fairest and cheapest deal out there. 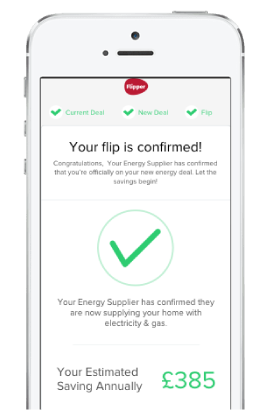 On average, we’re saving our customers £385/year on their energy bills, so join Flipper and never worry about overpaying for energy again. *The research was carried out via Vital Statistics, online between 21 September 2018 and 25 September 2018. The sample comprised 1,878 UK adults who have changed energy supplier. All research conducted adheres to the UK Market Research Society (MRS) code of conduct (2014). All research processes comply with the DPA (1998).